Surender Kandhari, Chairman of Guru Nanak Darbar Dubai, welcomed H.E. Sheikha Lubna bint Khalid bin Sultan Al Qasimi during her visit to the Gurduwara Dubai Temple today, 5th of October 2016. She was also welcomed by H.E. Anurag Bhushan, Consul General of India to UAE. Surender Kandhari, in his welcome address, praised and thanked UAE government for its efforts and active work in promoting harmonious co-existence of various race and religion in the country through its National Tolerance Program. While H.E. Anurag Bhushan commended the innovative style of governance UAE is showcasing in presenting itself to the world. He further adds that other countries should take this model as an exceptional reference. H.E. 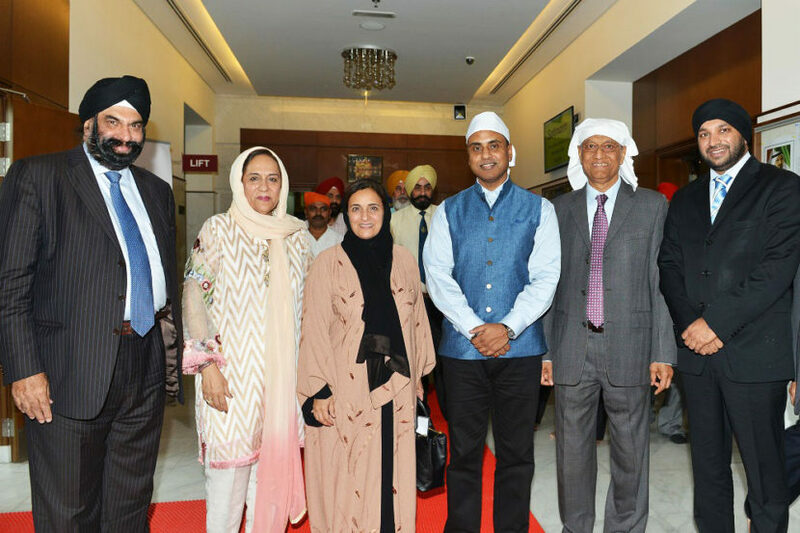 Sheikha Lubna Al Qasimi described her visit to Gurudwara as a united bond of interfaith and symbol of tolerance in UAE, as a place of peace and respect among the 200 nationalities living in beautiful co-existence. She also stated that UAE has a law against discrimination and hatred and have programs such as the National Tolerance Program that aim to build societies and promote respect of cultural diversity based on tolerance. She congratulated Gurudwara Dubai for educating the children and taking care of the elderly members of its community as an essential part of holistic approach in promoting respect. Gurudwara Dubai and the Ministry of Tolerance share the same value of respect and interfaith cooperation towards peace and offered support to each other’s current and future programs in this endeavor.